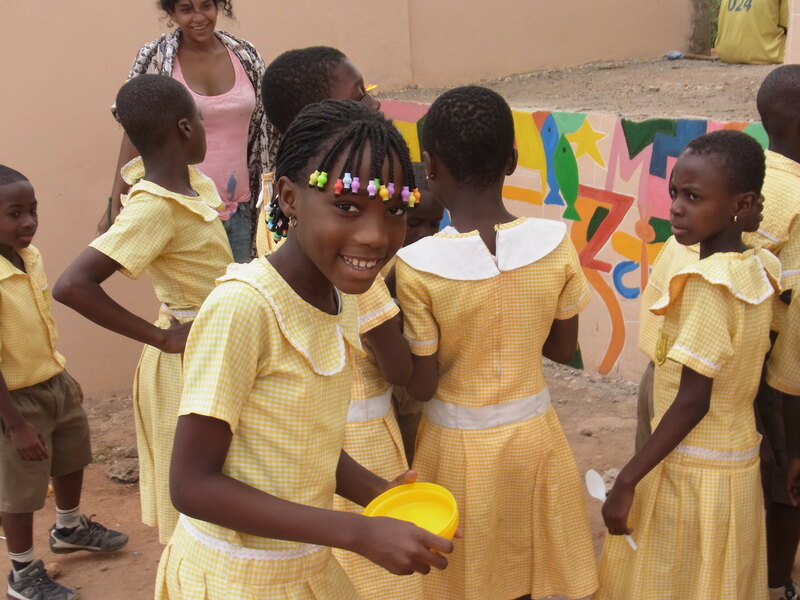 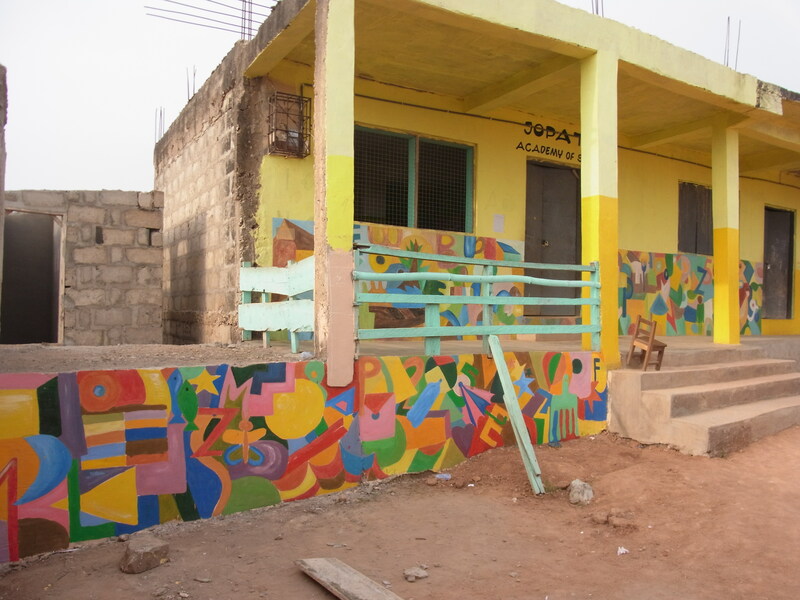 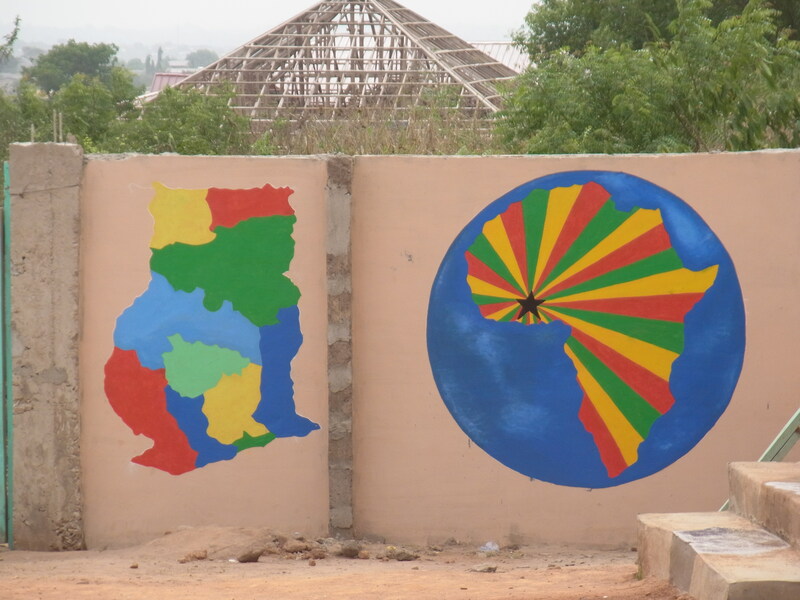 “The walls of the Jopat Academy of Success are painted and decorated- with united energy and creativity! 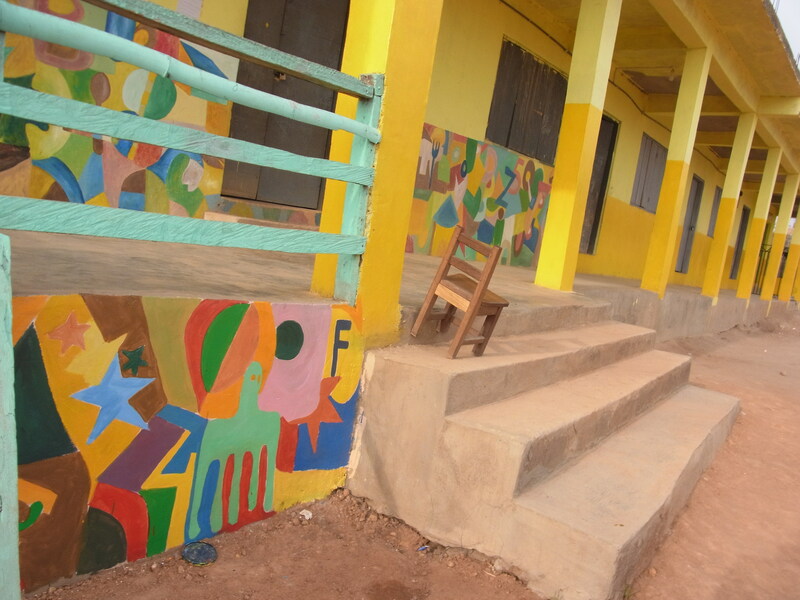 Thanks goes out to Josephine Agbenozan, the Proprietress of the Primary school, who gave me the freedom of creation and supported me in every possible way. 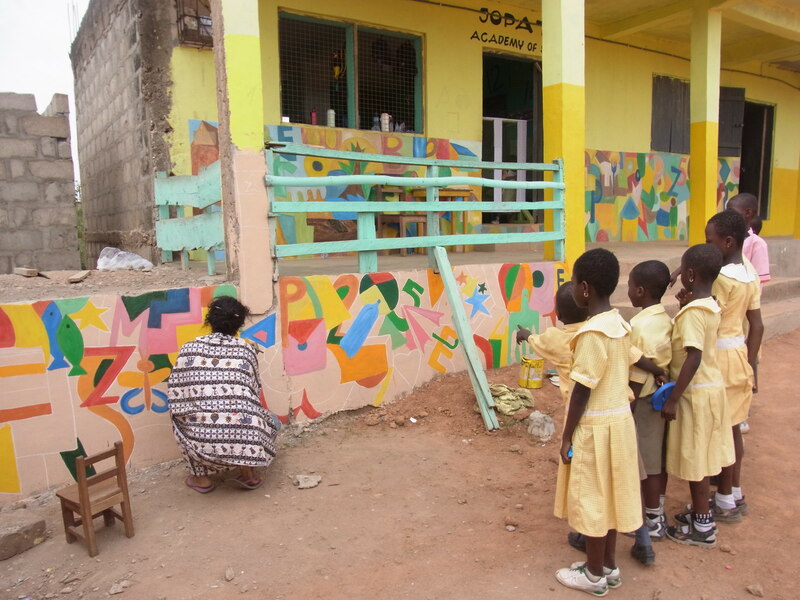 Also a big THANKS to the local artists who got involved and helped in the process – Yibor Kojo Yibor, Amoako Boafo, Nii Narku and Serge Attukwei Clottey. 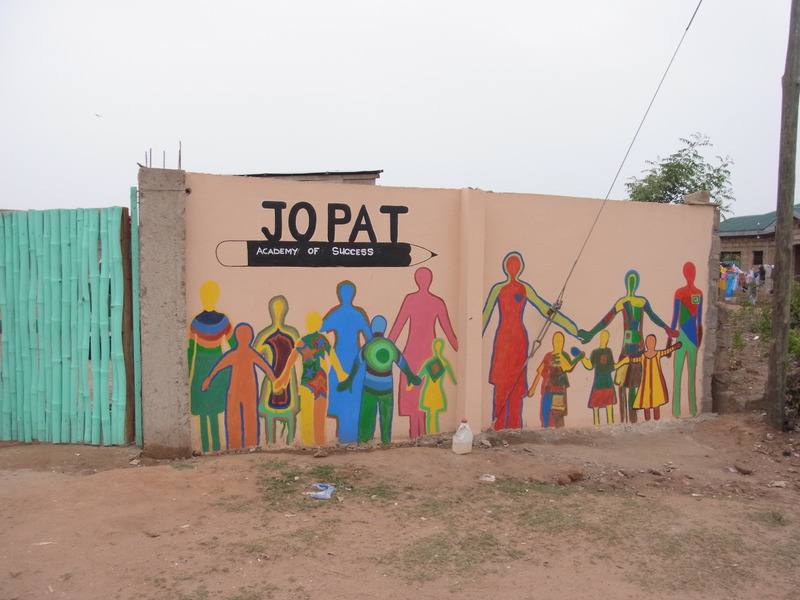 I am very thankful for the love, positive feedback and support I received from the pupils and teachers of the Jopat Academy of Success! 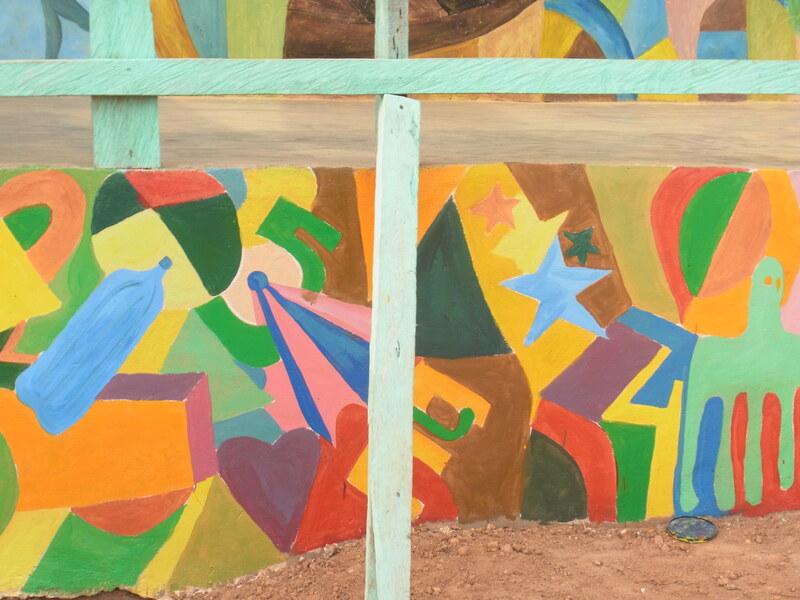 Categories: Art Projects, Education, Fundraising, Mural | Permalink.